The ancient and beautiful city of Lecce is known as the ‘Florence of the south’ because of the ornate Baroque architecture. Unlike Florence, the buildings are created from the local stone, pietra leccese, which adds to the city’s luminosity and appeal. There has been human settlement on the site since the 3rd century BC and every street just oozes history. 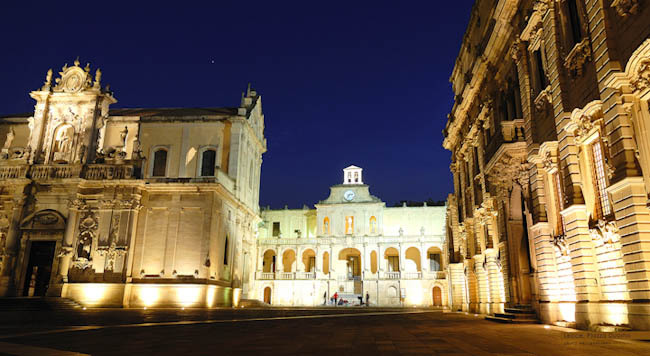 Lecce is a lively city, popular with Italians and non-Italians alike. It is usually buzzing with life even late into the night in autumn and winter. There is always something going on, whether it be a market, street theatre or just the evening passeggiata. Apart from the designer shops and great restaurants, there are stunning sights like the half buried Roman amphitheatre near piazza Sant’Oronzo. This used to seat 25,000 and dates back to the 1st century BC. The Chiesa di Santa Croce with its richly decorated façade and rose window is worth a visit as is the town hall, the Palazzo del Governo next door. Along Corso Vittorio Emanuele 1 the Duomo, with its 210 foot bell tower, is considered one of the most important in the whole of Italy. Go along via Palmieri to see craftsmen working on the local stone. 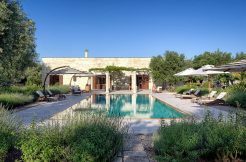 Don’t forget the Orto Botanico di Lecce – the Lecce Botanical Garden, located in via prov. Lecce-Monterone. It covers just over 5 acres and is under the auspices of the University of Lecce. 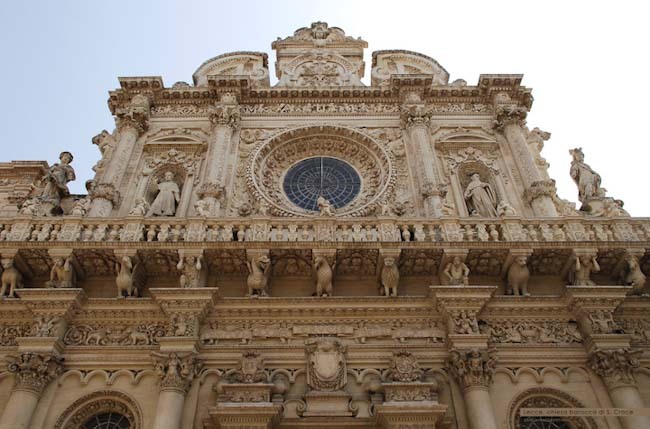 As cities go, Lecce is small, with the comune having a population of just over 100,000. It is easily within reach of your holiday rental property as it is just 20 – 25 minutes away by car.